Our pediatrician, Dr. Kevin Lue, is a Board Certified Pediatrician, promises to provide the most up-to-date, compassionate care needed to maintain your child’s health. Dr. Lue’s work experience include both pediatric outpatient and inpatient care– his previous work experiences includes outpatient clinic settings and formerly working as a pediatric hospitalist. He also has a special interest in asthma. To better to serve the community, he is on staff at two major local hospitals: Edward Hospital and Rush-Copley Medical Center. 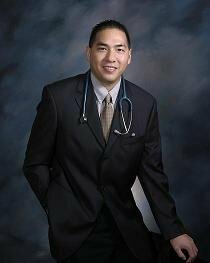 Dr. Lue is also an affiliate staff at Lurie Children’s Hospital, a nationally known tertiary pediatric care center. With these affiliations, Dr. Lue has access to the highest level of pediatric networking to provide outstanding care for your children. Also, Dr. Lue understands the busy work schedules of parents. That is why he works evening week days and Saturday morning hours. Being a father himself has made Dr. Lue a more knowledgeable and appreciative pediatrician who can relate his personal experiences with patients and parents. So give us a call to meet Dr. Lue!! He is willing to meet parents, free of charge, who are expecting or just searching for the right pediatrician for their child. Comprehensive infant, child and adolescent care.